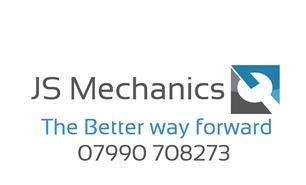 JS Mechanics - Garage/Vehicle Services based in Bristol, Somerset. JS MECHANICS is your local independent mobile vehicle technician who can supply you with multitude of vehicle diagnostic, service & repair. With over 10 years of automotive experience in various workshop positions ranging from the Gloucestershire police force to Aston Martin you can rest assured your vehicle is in safe hands. Our service is provided as an "on site" basis. We can come to your place of work, home, or place of your choice. JS MECHANICS provides many services to its customers, no matter how small or big a job - If you're unsure just call and ask.